Stepping inside Garam Dharam, we felt we had time travelled back to the 60s and 70s, to the glorious days when Dharam Paji reigned over Bollywood and won many hearts (well, he still does!). Colored bulbs peeking down from kettles and upside-down buckets on the ceiling gave a very artsy theka-ish look to the whole place. The ambience was complete with frames of our favorites’ handsome face and his top charters complementing the mood as we gobbled down our butter chicken in a total, hep dhaba feel. We did some gastronomic indulging and here goes the verdict! For snacks we started with the Dhaba Chicken Tikka - spicy and juicy, we love and recommend! The Amritsari Fish Tikka didn&apos;t appeal to our palate so much, as the tandoori covering tried unsuccessfully to bring out the flavour of the fish. 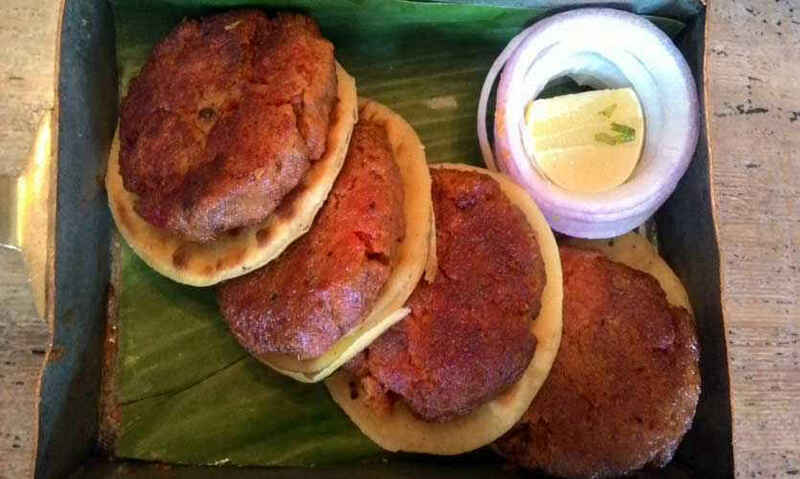 The Galouti Kebabs were firm and each one of them was served on a little maida pancake. The pancakes could have been a tad softer though. 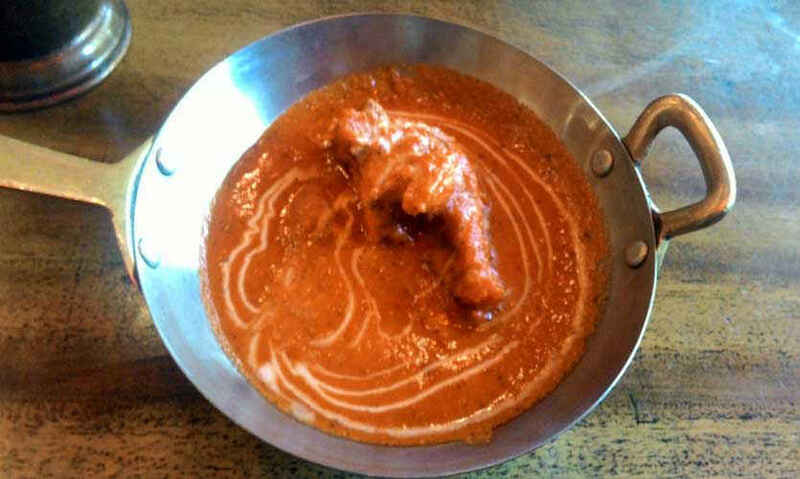 The Tawa Mutton Tikka was a gravy tossed, spicy and soft flurry of amazing flavours in the mouth. 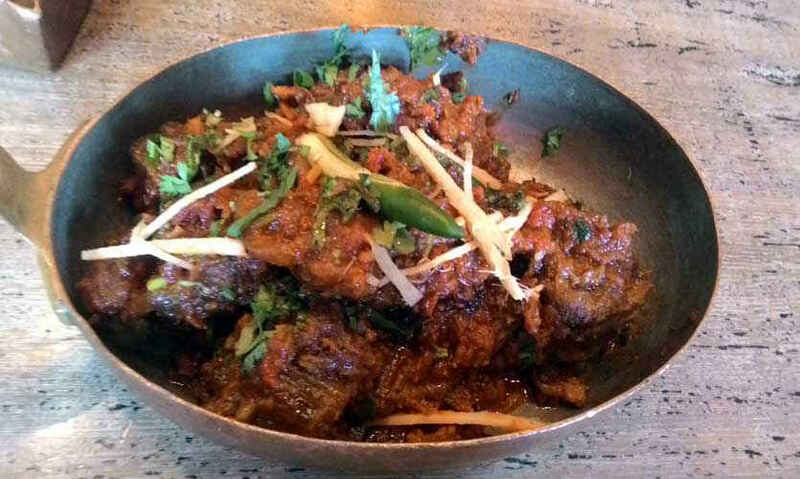 Garam Dharam really does their mutton best! For drinks, we tried their special concoction called Khatti Meethi Chulbuli with Whiskey. The punjabi playfulness was heavily apparent as we took the first swig from the classic tharra bottle. Punjabi food is incomplete without lassi and we gave Garam Dharam’s Litchi and Khus flavoured drink a try. It went well with the food though the curd was a little too sharp to taste and subdued the other flavours. For mains, we began with the classics, Butter Chicken and Dal Makhani, and we can safely say that Garam Dharam know their punjabi basics to a T! Couple it with the buttery and tasteful Garlic Naan and your tummy will thank you for it. 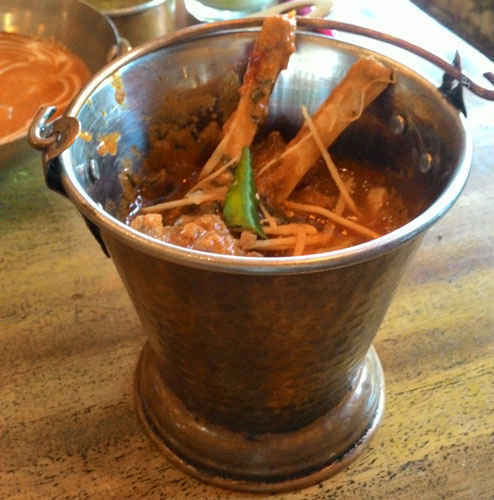 We also tried the Balti Meat, which is literally mutton in a bucket, and it reaffirmed our faith in their mutton cooking skills. Must try! Throw in some Missi Rotis and you&apos;ve got a winner meal. 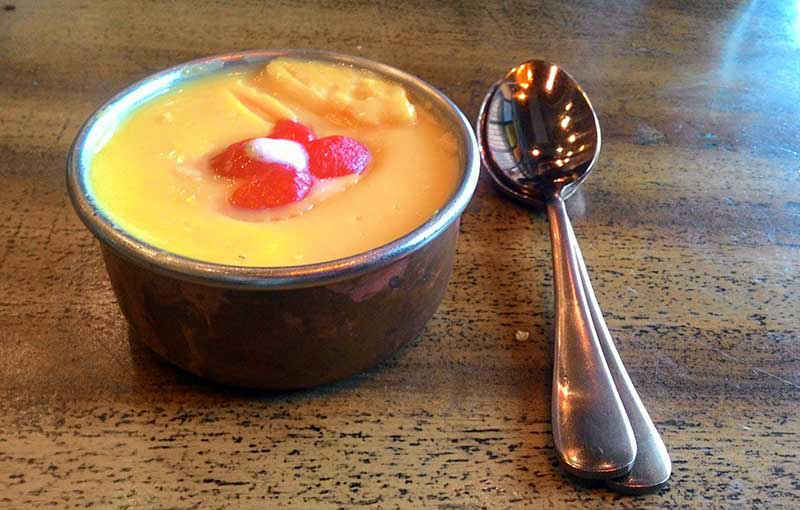 We wrapped up the meal with a Light Fruit Custard and bid a stomachful goodbye to Garam Dharam. The place is a secret passageway to Punjabi countryside with their fancy rendition of dhaba-te-theka outlook and Dharmendra music in the air in the heart of the bustling city. It&apos;s the kind of place which would make your parents have a nostalgic flashback and smother you with stories of their childhood days. Visit when in mood for some good-old, no-frills punjabi cuisine!